LIVE WELL MD is a network of physicians dedicated to optimizing healthcare through hormone balancing enabling the individual to highest quality of life attainable. Gary C. Bernard, MD is the founder and CEO of Live Well MD. He is Board Certified in Internal Medicine and Anti-Aging & Regenerative Medicine* and has been active in the vital role that hormones play in health since medical school. 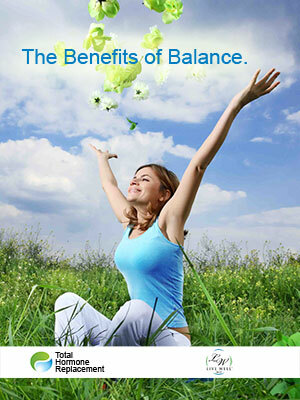 Dr. Bernard’s focus on preventative and proactive medicine is centered on Natural Hormonal Balancing. He utilizes Hormone Replacement for the treatment of Menopause, Andropause, Hypothyroidism, weight control, or any state that has caused illness due to the imbalance of our natural hormones. At Live Well MD you will receive a comprehensive examination of your complete hormone system and current state of health, which includes all of your body’s functions. 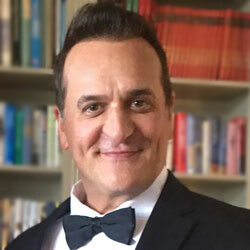 Gary C. Bernard was born in Syracuse, New York. His father was a furniture salesman and his mother was a homemaker. He was born into the simple American life and family. He has two brothers and one sister and a very close family. From his earliest memories, at about age 5, he knew he wanted to be a doctor. He describes it as his calling. He just knew that by being a doctor his life would be fulfilled. There was no changing his mind, as he grew older, received his education, and saw others go into law, marketing and other professions he never wavered in his dedication to work in medicine. Dr. Bernard completed his Medical Doctor degree in 1992 from Meharry Medical College in Nashville, Tennessee. He then went on to do his Internship at St. Joseph’s Health Science Center in Syracuse, New York. After this, he started his residency in Anesthesiology at Dartmouth-Hitchcock Medical Center in Lebanon, New Hampshire. He continued his residency at Brown University in Internal Medicine, which included a rotation in cardiology. He completed his residency at the University of Florida in Internal Medicine at the University Medical Center in Jacksonville, now known as Shands Hospital. He purposely had a diverse road to the completion of his medical license since he was always looking for a way to prevent illness not just treat it. Very early on in his medical training, Dr. Bernard realized that hormones were the key to unlock the door to good health. If you would like more information regarding Live Well MD please fill out the form below.